Another of my favourite things... | Does my bum look 40 in this? ... following on from this thread where I lay out what my "uniform", I come to item number two on the agenda. Oh yes folks, it's skirt time. 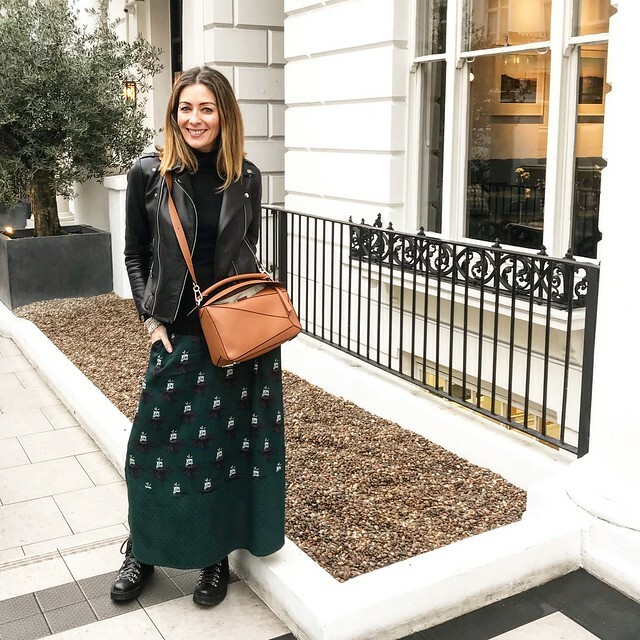 Following on from yesterday with the blog on Spring style tops that would work perfectly with skirts but were of the plain variety - let's throw some print into the mix. The Print Skirt. So I should premise this by saying there aren't going to be any pelmets here. I don't do knees. End of. It's not really anything to do with age - gravity has not been friendly to me though, that I will admit. It's more to do with being tall - if I wear a shorter skirt, I find that the proportions are skewed - there's too much leg hanging out of the bottom. This is COMPLETELY unscientific in my statement, it's definitely just my personal preference. Midi or maxi all the way for me. Plus there's less leg to shave or tan (I know - I am laziness personified when it comes to beauty upkeep on my legs - the quicker, the easier, the better. I am Queen of the shortcuts). They're also the perfect addition to your wardrobe for Spring. The longevity and versatility of them, means they'll see you all year round. 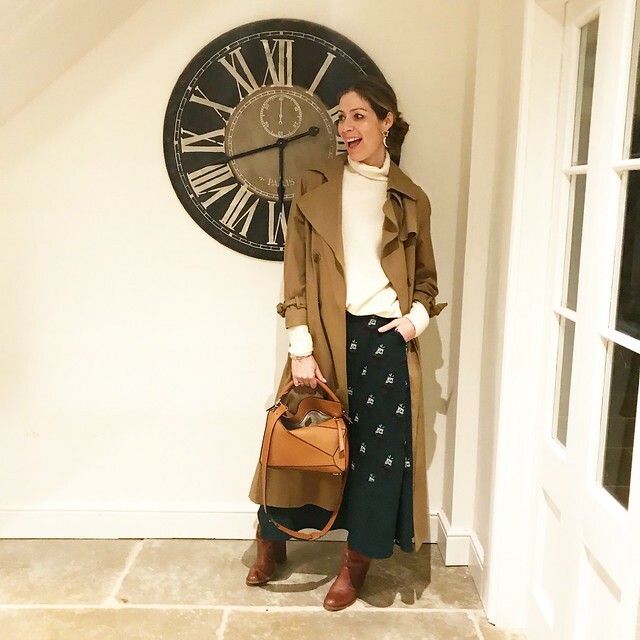 You can always wear with tights now, ankle boots and hi-tops are a superb interim solution and crack out the trainers, sandals and mules for when any form of warm weather finally decides to put in an appearance. Full on embroidery? Meh. I SO WANT TO DO IT. I so really can't. THIS is the perfect boho half way house for me. 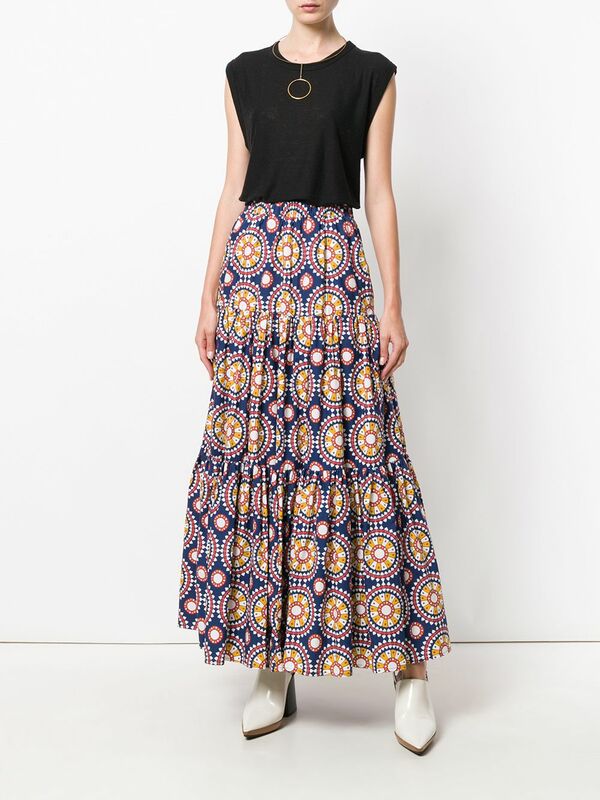 However I will then present the perfect skirt.. not a maxi but a midi... possibly too short for me as I am Gulliver. As it's a neutral. As it's leopard. 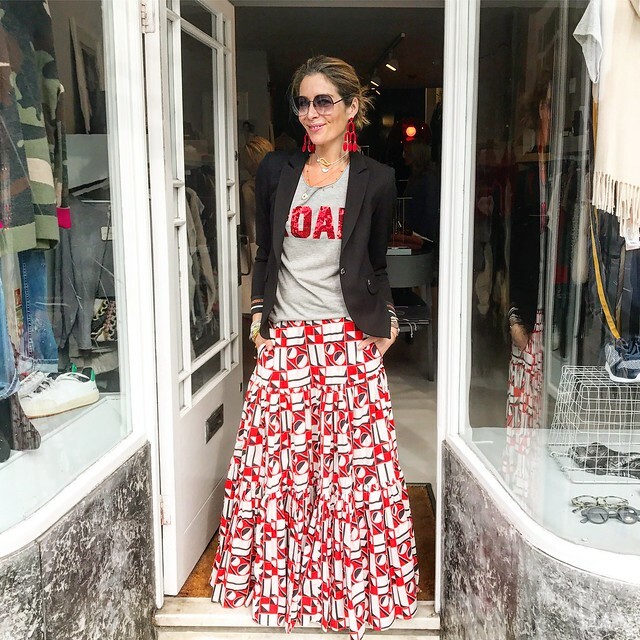 Leopard Pleated Skirt from & Other Stories £59 In my experience it always pays to size up in & Other Stories but I haven't tried this on. However I think I have sized down in the history of NEVER. Blue dots at & Other Stories which would work perfectly for now with a chunky jumper as opposed to a skimpy dress. I'm supposed to be in Barcelona in a couple of weeks - I simply can't get my head around that. Absolutely LOVE this floral print. But for me - it's definitely not long enough, I have tried the dress version that they very kindly sent me but I've had to send it back to them as it's just too short! However if you're of a normal height, these are all superb as midis. Another navy alert.. these look so fabulous with a denim jacket (one day...in the future that we can't even imagine *stares out at snow and sobs*). Red also at & Other Stories in a plethora of all things summery. THINK JUMPERS for now. Yellow at Warehouse with a matching shirt.. if it floats your boat. I LOVE this look - personally I can't get it to work - I don't know why, I think it comes down again to being thick of waist and too much fabric at the wrong part of my body (does that make senese?) but I adore the co-ord on other people. 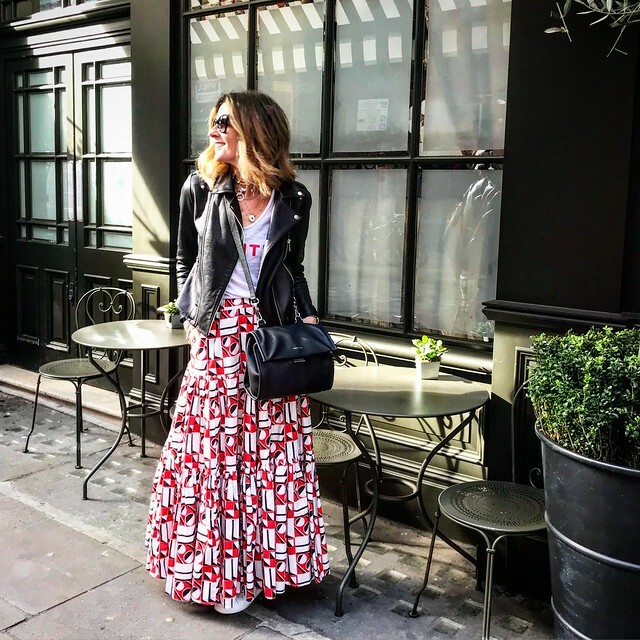 I absolutely love this print - it's the perfect combo of maxi and midi. One that will go with simply any top you put with it. So then we are upping the budget. Yes I do have two of these skirts. No I did NOT pay full price for them, I got both of mine in the sale from Matches (they currently don't have any of these styles). They seem like a heinous amount of money but I will say that there is a LOT of fabric in them - apparently they would be expensive to make (although I would love to have one made in leopard print... I'm looking into it...). In the meantime, I am totally crushing on this print. La Double J Patterned Tiered Skirt £400 (a whopping £10 - whoop whoop don't spend it all at once - off the price elsewhere.. I am looking out for a FarFetch discount code). And I am going to hold my hands up and say I haven't actually got dressed today. WHAT?! Well, I have... I put on running gear and went running. And then came home, had a shower and got changed back into clean jamas (which are actually harem pants, a vest and a sweatshirt so I guess we could call it "loungewear"..) and watched the snow come down. Anyway, I hope everyone has had an amazing weekend and that you haven't had too much snow. SURELY that must be the end of it?! 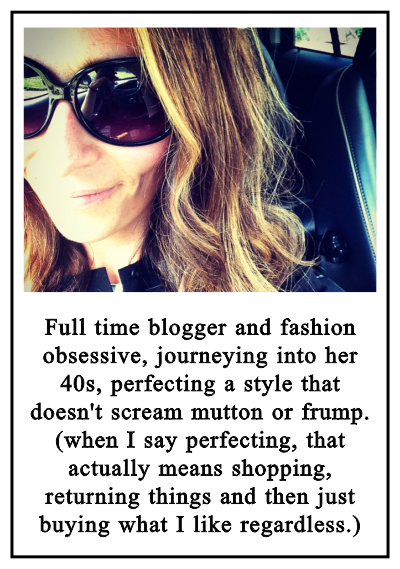 I love the ASOS and La Double both which look fab on you! p.s just purchased the Babyliss Big Hair (I know I am late again to the party-a thread that runs though my life!) after reading your recent review on their new product. Totally with you om there mini front being 5'9 I am in their same camp as you re too much exposed leg. Not helped with being way too overly blessed up stairs too. Combination = not good at all! 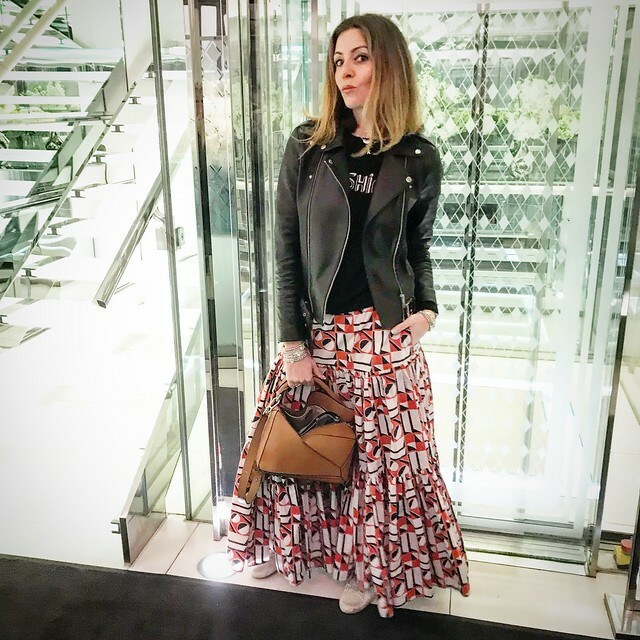 Go and buy that skirt (I thought you already had), you looked amazing in it! 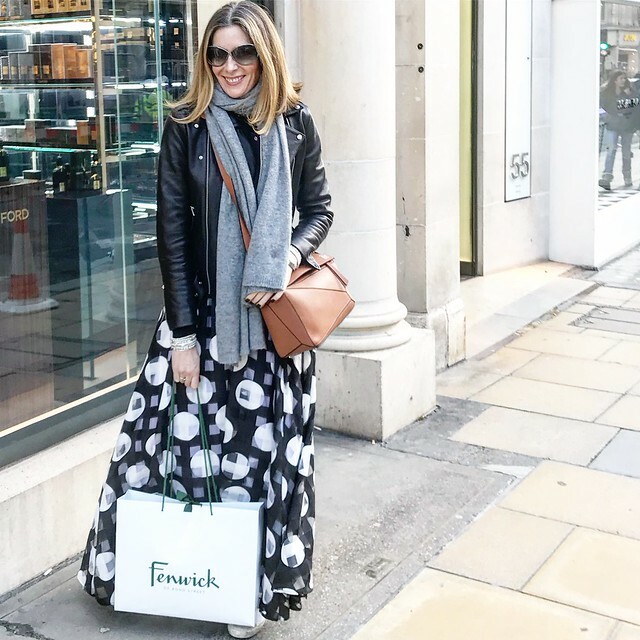 I have actually bought a maxi skirt, my first ever (down to you!)! It's not patterned though (never been good with patterns on my bottom half! ), I've loved wearing it with sweaters now, and I know it'll look great with tees once the weather gets it's act together! I have struggled with outerwear, but I can see how good a trench looks on you, I'll have to try that (it's one of those things where it doesn't work in my head). I am only 5ft 2inch and these look ridiculous on me, could you do a blog for petites. I'm about the same height, it's about getting one that's the right length for you and getting the proportions right. 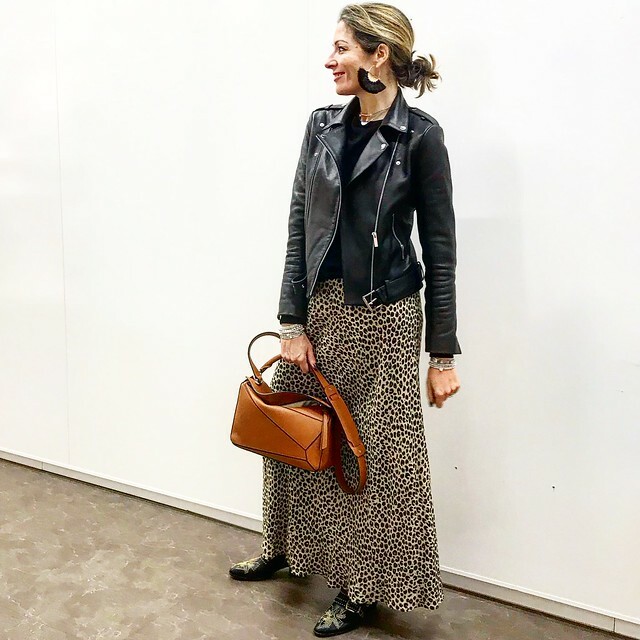 A midi is a maxi on me, but it works (it did take me a while to find the right one, but if it wasn't for Kat I wouldn't have even tried it) - as with wide leg trousers, I keep the top half more fitted, that way I'm wearing the clothes not them wearing me! Hi Kat! 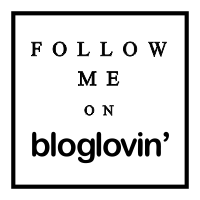 I recently started following you on Instagram and now reading your blogs! I love pleated skits! In fact I do own quite a few - red polka dots from from & Other Stories, yellow and orange from ASOS and blue from M&S! I wear them in Spring and Summer - but having seen you rock them in winter, might as well try them! Thanks for the inspiration!